Audio Visual Equipment can be expensive and bulky, but is often necessary in all different work environments. Don�t compromise a visual and engaging presentation because the equipment is inconvenient to use or you�re worried about security. 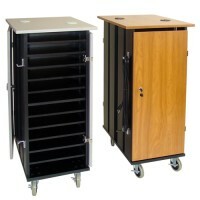 AV Carts with adjustable height shelves and pull out drawers make presenting a snap. 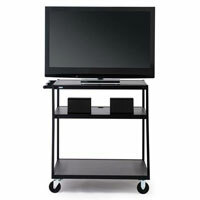 Shelves for projectors, lockable cabinet drawers for iPads and tablet storage, and a Mobile Lectern combine to create a multi media mobile cart. 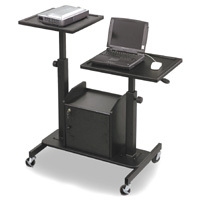 Audio Visual Carts, like TV Carts and Projector Stands turn any lecture into an interactive and visually stimulating presentation. 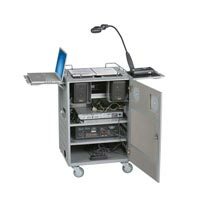 Projectors and their AV Carts can be wheeled right in front of Projection Screens or ProjectionPlus Whiteboards to give a clear visual image that can be wheeled away when not in use. Plug-In Timers give you some peace of mind when leaving Charging Carts overnight. 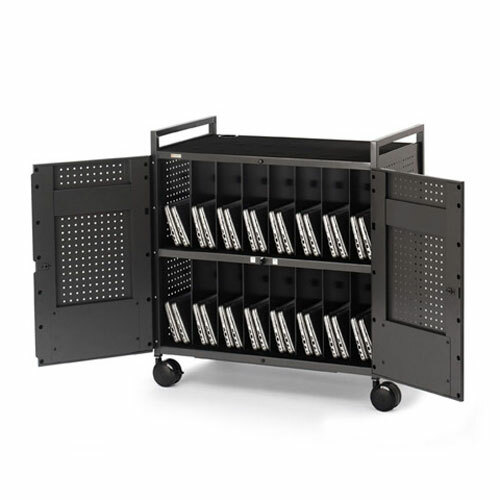 Media Carts and Tablet or iPad storage with lockable doors and charging centers make it easy to safely and securely charge electronics while your business or school is closed. 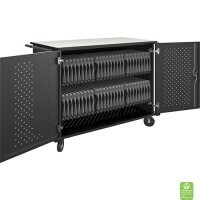 For single iPad or tablet security and storage, there are several travel tablet Storage Options available.